Innovation in banking can sometimes move at a breathtaking rate. With challenger banks like Atom Bank, Starling Bank, and Monzo new to the scene, the high street banks sometimes lag behind in technological terms, with some big name banks still not even offering a basic app for their current accounts. To reflect this, we’ve introduced a new category to this year’s British Bank Awards for “Innovation of the Year”. Take a look below at some of the most exciting innovation on the market, which you can get your hands on today. Some are basic, some are quite futuristic, but they all help us manage our finances that little bit better. 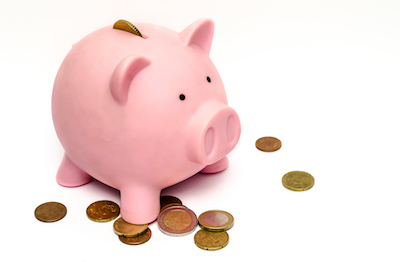 Helping customers save money is never a bad thing, and “Save the Change” (available to Lloyds and TSB customers) rounds up all purchases to the nearest pound, and saves the rest. It might not sound like much, but that means you won’t even notice it’s happening. Spend 89p, save 11p without having to do anything. It’s an automatic penny jar for the twenty-first century. 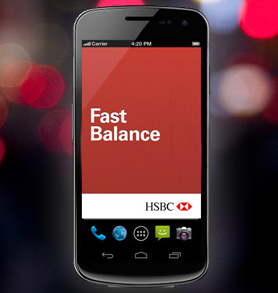 Swipe down on your phone, and you’ve got your up-to-date bank balance. The days of going to a cash machine to see how much is in your account are over, as it’s now available at a glance in less than five seconds. No logins, no remembering the name of your first teacher, just a swipe, and you’ve got the balances from up to three of your accounts. They may not have been the first - we think they “borrowed” this one from Monzo (see below), but with a huge multinational such as HSBC adopting this very simple, but very useful technology, it should start rolling out to further banking apps soon. And more people being more easily aware of their balance is surely a very good thing. 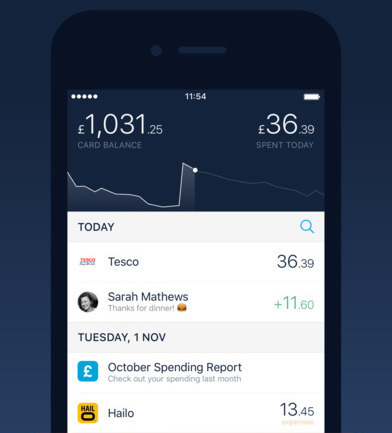 While many of the so-called challenger banks have yet to launch, Monzo are up and running with a prepaid offering. Though if it’s an insight as to how their upcoming current account will function, they’re definitely on the right track to becoming a banking game-changer. While it’s not mind-blowingly different - what it does do, it does simply and brilliantly, and is along the lines of “how a modern bank should work”. Instant notifications (even to your wearable device) when a payment is made, budgeting assistance, smart retailer information to help track where your spending is going, all make Monzo one of the top banking apps on the market in 2017, and it’s getting better with each update. One of Atom Bank’s quirkiest and most-written about innovations is the ability to log in using not just a passcode, but also your face, or even your voice. 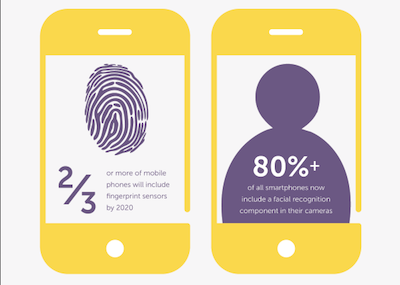 By using a selfie, or just talking to your phone, Atom Bank are able to uniquely identify you. It’s pretty clever stuff, and while others have done it in the past, Atom Bank have nailed it in their app, and it (usually) works well. Whether people will adopt it as opposed to other means of login - using fingerprint login seems to be the most popular way - remains to be seen. 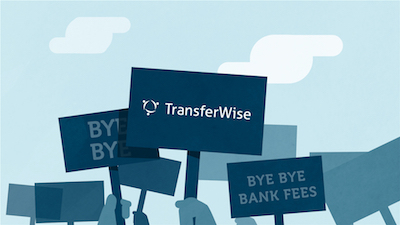 Banks and payment providers are falling over themselves in order to offer customers different ways to send and receive money, but TransferWise remains one of the simplest, and best-implemented ways of sending money between friends without resorting to sort codes and the like. With big companies like Barclays (PingIt), taking on upstarts such as Square, WorldFirst, Venmo, and even Facebook Messenger, the market which PayPal used to dominate is now wide open. “Communicating” with your finances a little more naturally was a common theme in 2016, and there are a whole host of apps which allow you to “talk to” your finances. 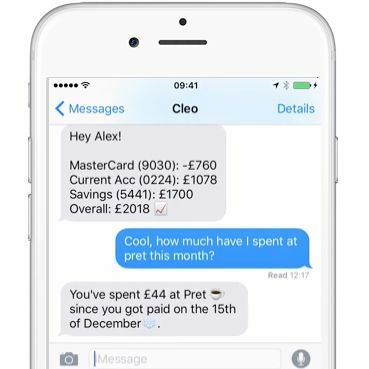 “Hey Ernest.ai, how much did I spend on coffee last month?” or “Hey Cleo, how much do I have left to spend until payday?” might just be the future of financial awareness. Sure, their language processing isn’t perfect - yet - but with rapid advances in this field, expect to soon be able to ask your AI friend more complex queries like “how much (in pounds) did I spend on food, on average, while I was in Madrid, in the last 3 months”. Cleo has even announced Amazon Alexa support, meaning you’ll be able to just ask this in your living room, and receive a well-rounded reply. The future is finally here. Essentially a beta program for their full banking app - Launchpad is a curious approach from one of the biggest names in the business. While some banks are slow to adopt digital, it’s encouraging to see Barclays allow customers a glimpse of what they’re working on next, and help them refine those features. Some of these never see the light of day, but it's a unique insight into what Barclays are working on bringing to the mass market next. The mortgage application process can be stressful enough without having to take time off work and make daytime appointments in branch to progress your loan. HSBC have pioneered an online appointment which touts convenience as it’s main benefit. If the future is digital, why should we trek down to a busy, outdated branch, and have to wait to be seen? Fire up the webcam, and chat directly to your mortgage adviser, at a time that suits you. In your pyjamas. Special mention too for Habito, who aim to take the mortgage broker process entirely online. Taking charge of multiple accounts is becoming more and more useful as customers open several savings, current accounts, and credit cards. Account aggregators have been around for a while, but have really taken off in the last twelve months, with names like Bud joining heavy hitters such as Money Dashbaord, and MoneySupermarket’s own OnTrees. The premise is that at a glance, you’ve got an overview of your total account value and expenditure in one place, with no need to log in to multiple places. Super useful, and there’ll only be more competition in 2017. Cheques are (in)famously still with us, as a planned 2018 phase-out was reversed following customer backlash. Until then, it’s still a real chore to cash, and wait for a cheque to clear. 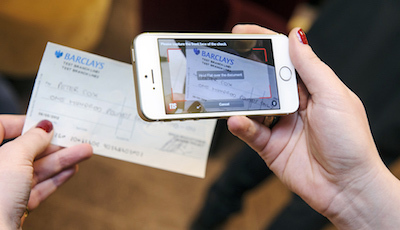 Barclays solution must have had others thinking “why didn’t we think of that” - simply take a photo of the cheque using a smartphone camera, and upload it to your bank. It’s quick, and conveneient, and another sign that the branch may be on its way out. For many, the excitement and anticipation of the arrival of “challenger banks” is the innovation they may or may not bring to the banking table. Have you used any of these innovative features of your bank accounts? Whether you think they’re overrated gimmicks, or particularly love using one of these features, let us know by leaving a review, and watch out for our “Innovation of the Year 2017” winner when the results of the British Bank Awards are announced in February!